London has always played an important part in the James Bond franchise. Not only is it home of the MI6 Headquarters and 007 himself, but Bond creator Ian Fleming was born there and took a lot of inspiration from the capital for his books. It also appears in every single movie, sometimes in places you don’t expect. Since its Global James Bond Day, I wanted to take a look at some of the places throughout London where you can get the ultimate 007 treatment. From speed boat chases, to expensive cars, it’s easy to step into James Bond’s shoes if you knowwhere to look. 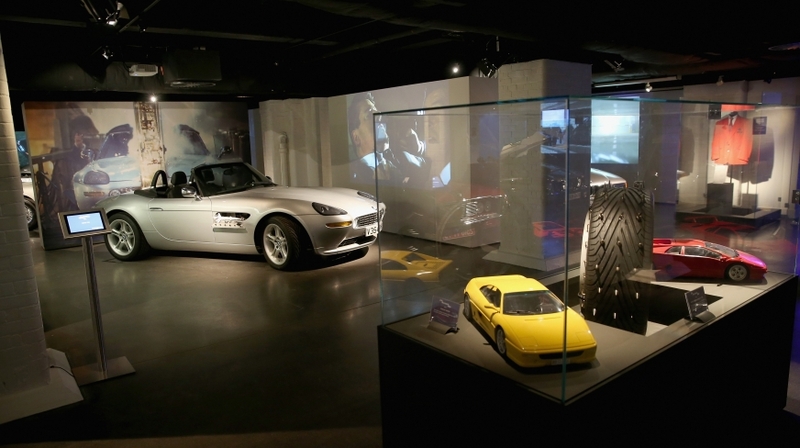 If you’re a fan of the James Bond movies, then you need to check out Bond In Motion – a James Bond Exhibition at the London Film Museum. Located in Covent Garden, it features an extensive collection of over 100 original vehicles and gadgets from all 24 films and is the largest exhibition of its kind anywhere in the world. From boats to motorbikes, props to storyboards, it has a little bit of everything – a highlight being the Rolls Royce Phantom from Goldeneye. Tickets are £14.50 and can be purchased from their website. Talking of cars, James Bond wouldn’t be 007 without a slick supercar to race around every city he visits. There are a slew of vehicles featured throughout the movies, but the Aston Martin is notorious for being Bond’s favourite – so why not rent one. Aston Martin Car Hire offer everything from a Vantage to the Vanquish, and you can rent a DB9 from Hertz. If that doesn’t quite satisfy your need for speed however, you could always try one of Virgin’s high speed experiences, racing round a track. There are racecourses in various locations just outside of London, including Silverstone which appeared James Bond film Thunderball. 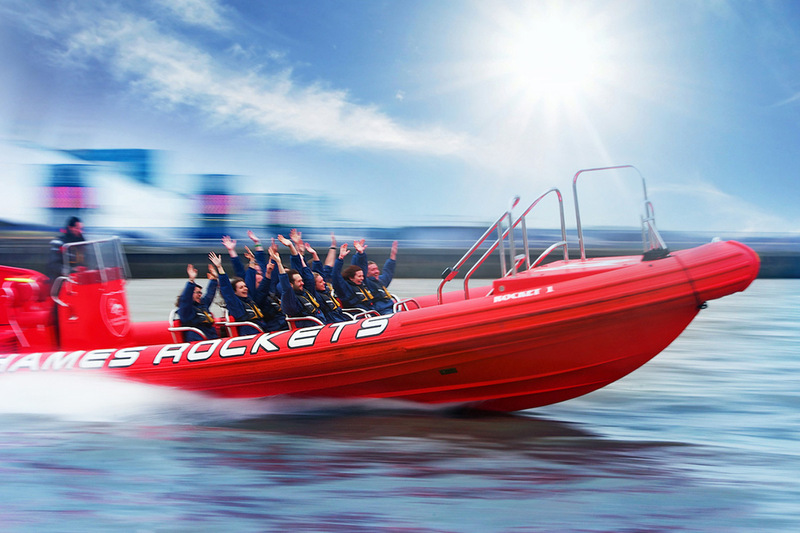 Another thing James Bond does very well is a speedboat chase scene up and down the Thames – most recently seen in Spectre – so if you want to get out on the water 007 style, you’ll need to book one of London’s many RIB packages. Thames Rockets have a 50 minute speedboat sightseeing cruise that hits speeds of 30 knots for £39.50, but if you want something a little more extravagant, opt for the Thames Bond package from Thames Jet who combine their boat ride with a helicopter tour over London, letting you see James Bond’s city from above. As an International spy, James Bond travels all over the world, staying in the most luxurious hotels. From The Peninsula in Hong Kong to Hotel Cala Di Volpe in Italy, it’s only right that a trip to London should include a stay somewhere swanky as well, and The Four Seasons Hotel in Canary Wharf is perfect as it was used in Skyfall. Do you remember the swimming pool Bond takes a dip in, at the top of a Shanghai hotel, well it’s actually on the roof of the Four Seasons in London – the Shanghai skyline was added in with CGI. Oh, and the racy shower scene was shot there too, in room 712. ‘Shaken not stirred’ is one of the most iconic Bond phrases in existence, and it’s rumoured that Ian Fleming came up with this line at Dukes down St James Place. He was a regular at the bar in the 50’s – which was famous for its Martinis – and would order his cocktail shaken, which at the time was unheard of. There are lots of places to grab a martini around London, but where else can you buy Bond’s favourite drink from the bar it was conceived. 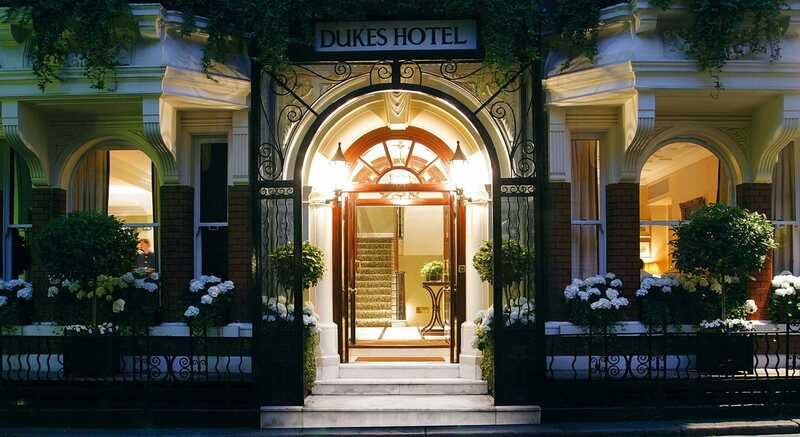 Plus it’s frequently argued that Dukes creates some of the best martini’s in the world. Another place you’ll want to visit for a Bond style martini is the Distillery, who offer a package called the Tales of Glamour and Excess. It’s a James Bond dining experience, described as an immersive adventure through the insane excessesof Bond and Fleming’s lives. It includes a 5 course meal of Bond’s favourite dishes and is accompanied by his favourite drinks – Martini, Champagne and Bourbon – all of which is inspired by the art of alchemy and molecular science. Tickets are £90 and bookings can be made on the Distillery’s website. One of the best scene’s in the whole of the James Bond franchise is in The World is Not Enough, where Pierce Brosnan’s Bond speeds down the Thames passing various impressive London landmarks, and ends up on top of the Millennium Dome. Now called the O2, you can actually climb to its very top – if you’re not too terrified of heights. The experiences are available at sunset and twilight as well as the day time, to make things a little more magical. You can even combine you adventure with a glass of champagne. Tickets are from £30. If you want to test out all those secret agent skills you’ve been picking up throughout London, there’s no better way than by joining Mr Q’s spy agency. ClueQuest ia a live escape room game, based on the life of a spy like James Bond, and they have loads of different tasks for you to complete. The 60 minute missions include Plan52 where you will need to find out who the double agent is, BlackSheep which involves breaking into a secret base, and cQ ORIGENES where you will shrink into Mr Q’s base. Tickets are £30 per person. Before Ian Fleming even conceived the idea of James Bond, he worked as an Intelligence Officer during World War 2, frequently visiting Bletchley Park – the legendary codebreaking centre – where scientist and engineers laid the groundwork for modern computing. 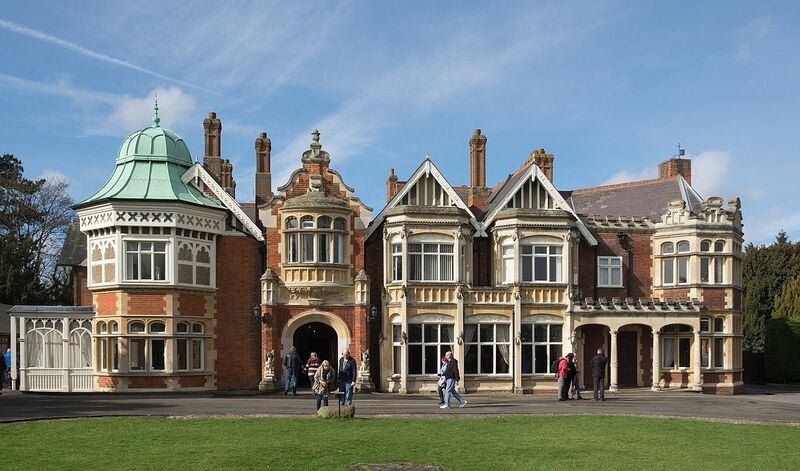 It’s thought that Fleming got a few ideas for James Bond from his time at Bletchley, which is now a museum just outside of London, and currently houses a James Bond exhibition: Bond at Bletchley Park. If you want to have a go at code breaking yourself, head to The Bletchley bar, which is an immersive cocktail experience where you use WW2 Enigma machines and your spy skills to create personalised drinks. Finally, you can’t go to London and not check out the various filming locations around the capital. From Buckingham Palace, which appears in Die Another Day, to Somerset House popping up in Tomorrow Never Dies, there are lots of places that appear in the James Bond franchise, either as themselves or disguised as something else. If you want to join a tour, there are plenty of tailored options available online, but it’s easy enough to head around on your own. I’ll be making another post full of my favourite James Bond Film Sets, so make sure to come back. Which James Bond style experience is your favourite? Will you be checking any out next time you’re in London? Who is your favourite Bond? It’s definitely on my London bucket list now – I bet the views are amazing, especially at sunset. Mmm… Think it depends how old your kiddo is, or more importantly, if she’s scared of heights? Wow! This is a fantastic list and so diverse. I cannot believe you can actually climb the Millennium dome?! I will never ever do it, but hey, it’s cool to know it’s possible! I have to say ClueQuest and Bond at Bletchley Park sound really interesting. I need to check those out at some point! Yeah, it looks insane – I would absolutely love to do it. I bet there are some amazing views. The escape room is definitely a good alternative for those who like to keep their feet on the ground though. At least all of his persistence sort of worked out in the end if you like James Bond a little more now. It sounds like he’d definitely be a fan of the Bond museum. I love this! 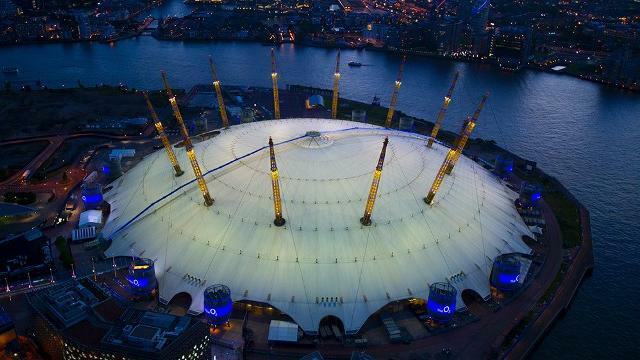 If I ever get back to London, I’m totally doing a few of these… just not climbing to the top of the O2 arena!